M. Night Shyamalan packed Glass full of twists and left much open to interpretation, but audiences did not flock to see how the Eastrail 177 Trilogy ends. In the weeks before Glass’ theatrical release estimates put its box office haul as high as $75 million. Had it reached that number it would have been the second highest January release in history. Glass did not hit the $75 million mark – not even close. It’s opening weekend box office is just over $40 million; not a terrible number but definitely not box office shattering or curse breaking. It’s surprising because the Glass twists should have brought in the masses to see for themselves how the Eastrail 177 Trilogy comes to an end. Glass has divided critics and audiences alike — it seems you either love it or hate it. And of course, audiences love Glass more than critics, which should come as no shock to anyone. I fall on the side of liking Glass a great deal. 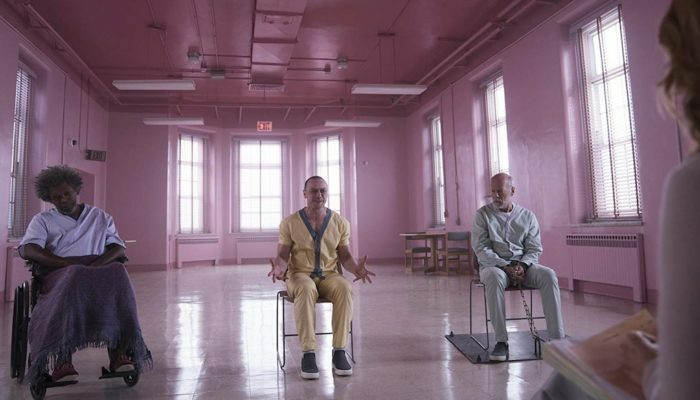 Each twist in Glass’ third act involving David Dunn or The Overseer (Bruce Willis), Elijah Price or Mr. Glass (Samuel L. Jackson), and Kevin Wendell Crumb or The Hoard and The Beast (James McAvoy), made me want more and more. And I’m still mulling over the use of threes in Glass, such as three superheroes, three weeks since The Beast’s emergence, three days under psychiatric evaluation, three family members – one for each superhero. Dissecting this Glass theme is going to require multiple viewings. The best part of Glass for me is the enjoyment in seeing how M. Night Shyamalan does not give any real answers, leaving many things open for interpretation. Kevin’s father died on Eastrail 177; the train that Mr. Glass caused to crash and David was the only survivor. There’s a secret society, known by their clover tattoos, that find superhuman’s and take away their powers. Dr. Ellie Staple (Sarah Paulson) is part of it. The clover tattoo group exist to maintain balance and order. This twist has holes, though, as the circumstances in which Dr. Staple gives her updates to fellow members of the group is suspect and leaves doubt in the group’s actual existence. She may, in fact, be delusional. Everyone dies. By far my favorite Glass twist, Mr. Glass, The Overseer, and The Beast, all die at the end of Glass. Every superhero has a weakness, and they each fell to their weakness. David drowns in water, Mr. Glass dies from his bones breaking after a blow from The Beast, and The Beast could have lived had The Hoard and Kevin not gone to the light, or chosen love, friendship, a sense of belonging over power. The Beast’s ultimate weakness is former captive Casey Cooke (Anya Taylor-Joy), one of the broken, and that’s much better than bullets. These aren’t the only Glass twists, but they are the most important in my humble opinion, and you’d think that once word got out that Glass did not feature a cookie-cutter ending you could see coming a mile away, people would flock to see the film. Some did; not enough, though. Split, the film that came before Glass in the Eastrail 177 Trilogy, also made $40 million opening weekend in January 2017. Its production budget was $9 million. Glass’ production budget was $20 million. Glass needs to make much more than Split to make it a hit, and it only has a couple weeks to own the box office before The Lego Movie 2 takes over on February 8. In its favor is a lackluster release schedule for the rest of January 2019. The Kid Who Would Be King won’t attract the same audience as Glass, unless adults realize it’s the latest from the director Of Attack the Block, Joe Cornish. 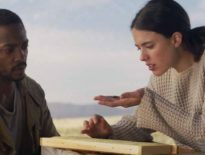 There’s also Steven Knight’s thriller Serenity, which has star power in Matthew McConaughey and Anne Hathaway but little marketing strategy, a strong signal that it could be quite terrible. The first week of February is quite blasé, too, except for Netflix’s Velvet Buzzsaw that will keep people home on the couch and not heading out to the cinema. If word of mouth picks up that Glass is worth a look on the big screen, its box office haul could make it a moderate hit that is perfectly acceptable for a January wide release. Or it could die in its second weekend and further exacerbate the theory that M. Night Shyamalan is cursed. As it stands now, all the Glass twists in the world can’t lift the curse, but perhaps the biggest twist of all for Glass will be its slow-burn profitable box office run.